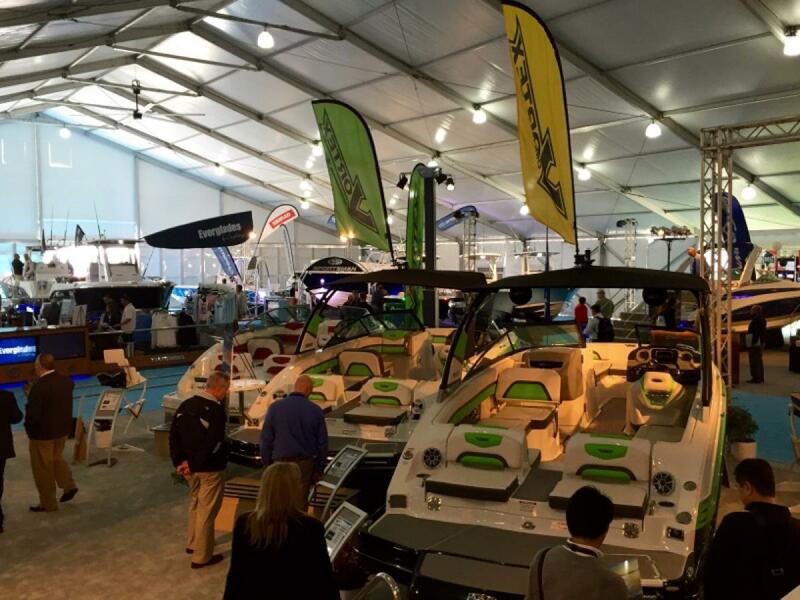 The Miami international Boat Show took place last week, Feb 11 through 15, in its new location on Virginia Key. The show was most decidedly a success despite concerns that it couldn't be done. The location was optimal, weather was gorgeous, and the crowds were ready to buy. Our Bayliner, Chaparral, and Four Winns booths saw plenty of activity with several models sold including the just-launched, award-winning Bayliner VR5. We also congratulate the new owners of a Chaparral 210, a Chaparral Vortex, and a Four Winns H290. Adding to this list is the tremendous success is the Prestige booth over at the Yachts Miami Beach show on Collins, with several yachts being sold including the new 680 and several of the ever-popular 550 Prestige Yacht. We thank everyone who came out to show support. We'll see you next month in Palm Beach!